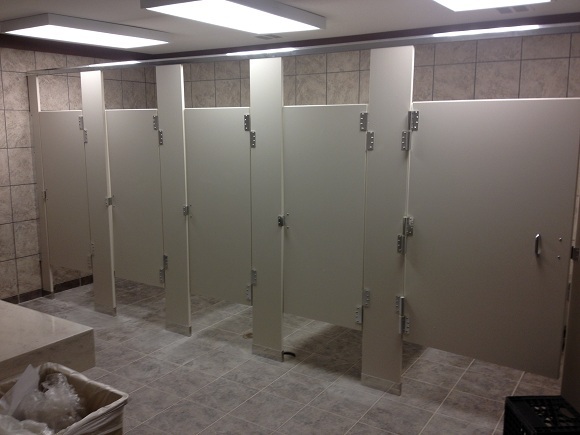 Toilet Partitions are a cost-effective method of remodeling your existing restrooms. From Baked Enamel to Color-Through Phenolic we are your suppliers. We offer an extensive array of partitions and ideas to help you through the design and installation process. If you are looking to control a gym storage area, or section off entire warehouses, we offer a wide variety of caging products. 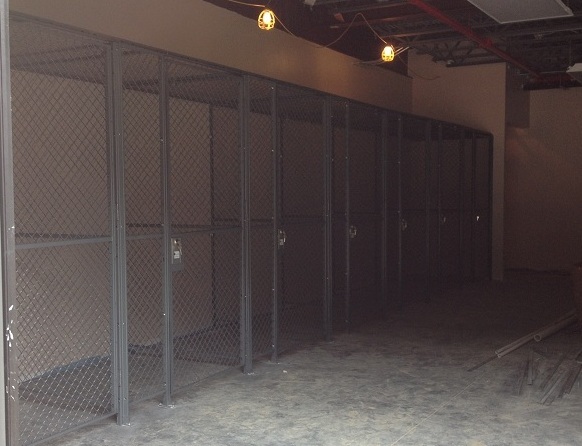 We have a full line of wire cages ranging from light weight through cages demanded by the navy's special forces. If you have an area that needs to be secured, we have what you need. From hall lockers for student's books to gym lockers during class, we can provide sturdy, cost effective systems to meet any need. Whether dealing with an individual case of vandalism, or with accumulated instances of damage from a variety of wear or misuse we can cost effectively repair or replace damaged pieces. In most cases we assemble at our warehouse and transport to your location minimizing debris and time at your facility. 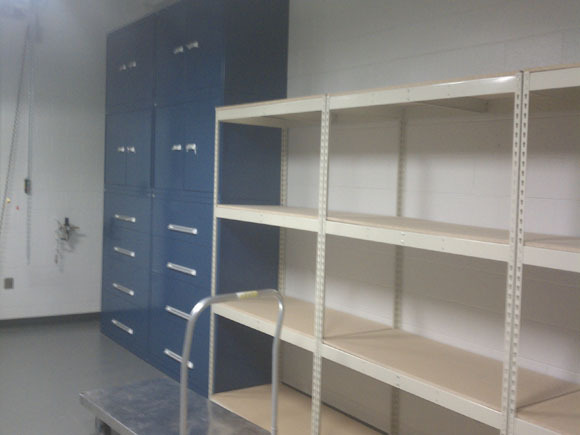 Plastic or Phenolic Lockers are ideal for high moisture areas. Corrosion and chemical resistant and low moisture absorption with a High End appearance. If you are in need of bathroom accessories from grab bars to robe hooks, from toilet paper holders to towel bars; we have you covered. 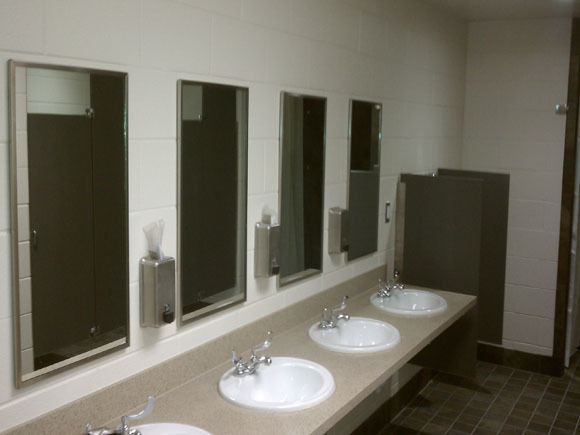 With full lines of accessories we can help you with what you need for your facilities. We have a wide variety of bulk storage products. Anything from metal adjustable shelves for office back rooms, through heavy duty pallet racking designed to hold well over 4000 lbs. If you need to maximize your cube, give us a call and we'll be able to answer any questions.